Fake it it'll you make it? I’m a huge fan of this mantra, more so when it comes to faking 8 hours sleep until I can actually get 8 hours sleep. I’ve been having some sleep-issues of late, mostly the fact it seems to take me forever to actually fall asleep, then when I do, I’m waking up several times through the night. Broken sleep is not beauty sleep that’s for sure. Anyone else having this problem? 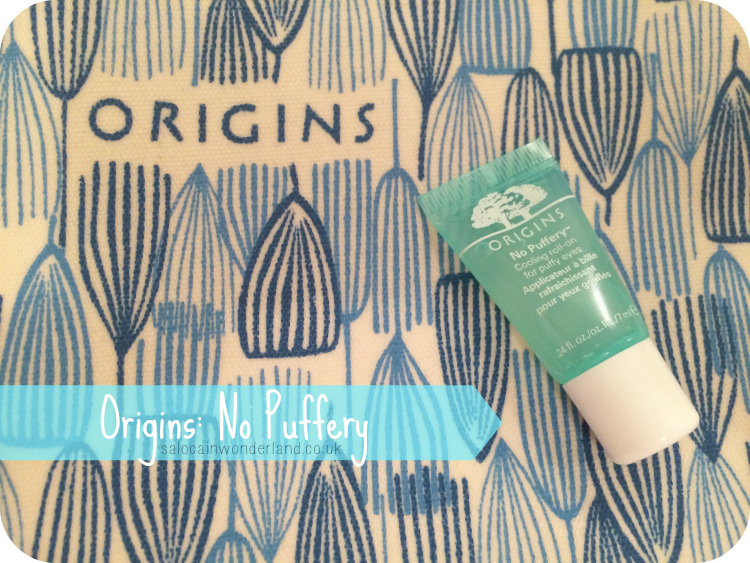 I picked up Origins No Puffery eye roll-on gel back in January as part of a promotional gift set Origins had on offer. I used it on and off but over the last couple of weeks I’ve found myself reaching for it more and more as my sleep gets less and less. Let’s start with the applicator as that was the first thing that caught my attention. The roll on applicator is a dream, the little silver ball seems to be permanently cold and once that hit the skin, ah, blissfull! It’s unbelievably refreshing and a fair amount of the product comes out every time with little to no pressure on the tube, so no dragging at all! The gel itself is a really lightweight formula, made with yeast extract and hoelen mushrooms. The yeast helps to reduce puffiness around the eyes and brighten dark circles, the hoelen mushrooms help to calm and soothe the skin, further reducing the puffiness and reducing redness. All the visible signs of sleepiness night are taken care of in this little beauty. I tend to use this of a morning after a particularly sleepless night and find that it real does help reduce puffiness, redness and dark circles. My eyes instantly feel more open and awake. It doesn’t leave any residue behind and I have used it under concealer and full face make up and had no problems. Too much to drink last night? Hayfever sufferer? Loosing sleep? 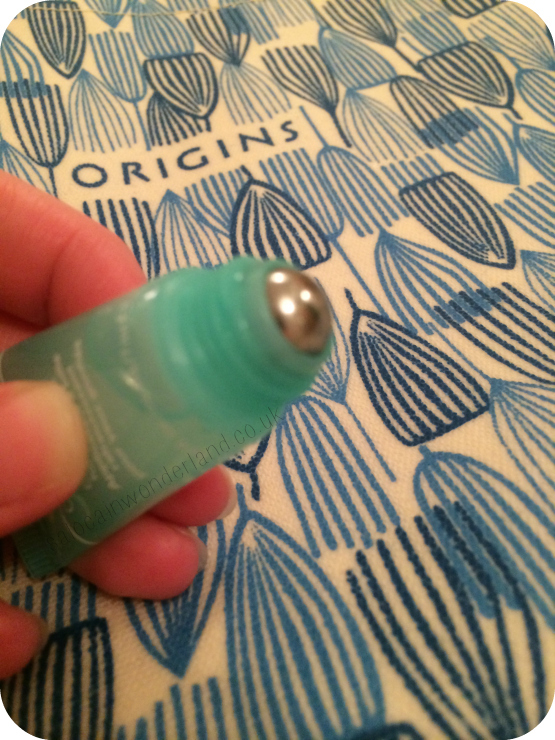 It’s one the pricier side at £24 but so far it really has worked a treat for me. 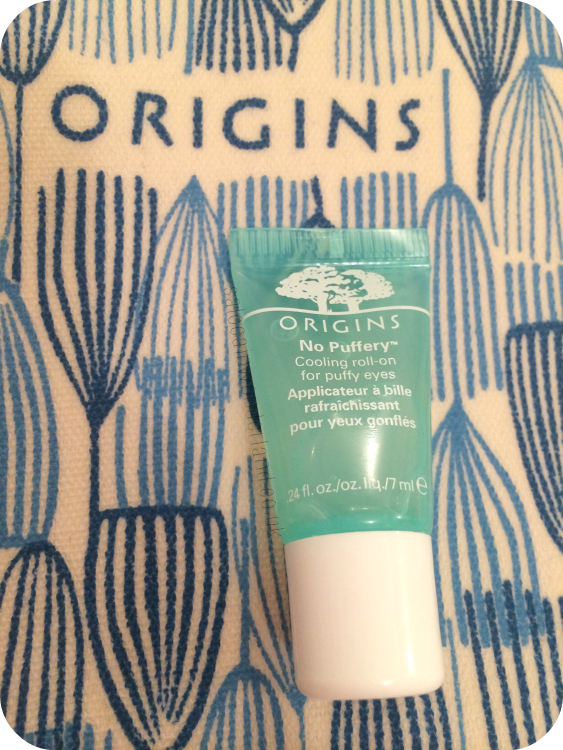 How do you deal with tired, puffy eyes? Let me know in the comments below! I have terrible issues with sleep too. I struggle falling to sleep even if I feel so tired and can't read I'm that tired, then wake up all the time. I'm usually not so bad but lately, urgh, it's killing me! I miss waking up and feeling all refreshed and what not. The only nights I actually sleep half decently is those where I do a late gym session, smash it until I think I'm going to pass out, then fall into bed, though I think that's more likely unconscious than asleep haha!